Today numerous web tools allow you to create a website with your own hands. One of the easiest ways to do it is to install a Content Management System (or just CMS) on your web hosting server. Here it’s quite important that you choose a hosting package with cPanel, as it will help you create and manage your website a lot. 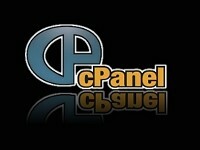 So, suppose you have purchased cPanel hosting — what now? Now you have to choose a CMS that will fit all your requirements. In this post we can’t speak about all website platforms available, so we’ll just speak about WordPress, which is the most popular option so far. 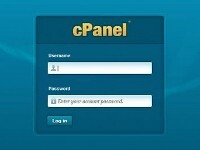 Also, it is quite easy to install if you have cPanel software on your web hosting. Creating a new webpage with WordPress is not hard at all. You just need to install it on your cPanel hosting, choose a WP theme you like, and create pages design that will represent your project well. We won’t concentrate really much on building the website itself, but you can find a lot of tutorials on the topic — just search a bit. We’ll just say that making a website from scratch is easy even if you have never used WordPress before. Just try it, and you’ll see. So, the first thing you need for creating a new web site is to install the WordPress CMS. In cPanel there’s a special wizard that will help you do this — Fantastico. However, it often has a bit outdated WordPress software, and has several restrictions. That’s why we suggest you to setup the CMS manually. This will take a bit more time, but will provide you with a great and up-to-date website platform. So, first of all you need to download WordPress software from their official webpage. Choose the package for your OS, and download the archive. As soon as it’s done, login to your cPanel, and use its built-in file manager to upload the installation files to your web host. We advise you to upload first the archive you got from WP official website, and then unpack it at the same web host file manager. The next step is setting up MySQL username and database you will use for WordPress. This can be done in the MySQL Databases section of cPanel home page. To create a new database you only need to choose the name you like. Then create a MySQL user — choose a login and a strong password for this. Finally, add the newly created user to the database you have for WordPress. This is done in the same MySQL Databases section at cPanel. Now it’s time to make some noise, and finally install the WordPress itself! Just type your domain in the browser window. If you have done everything correctly, WordPress will suggest you to create a Configuration File. For this you will have to type in your MySQL username, password and database name. Leave Database Host and Table Prefics fields without changes, and run the install. And, basically, that’s it folks! As soon as WordPress is installed, you will get a default username and a certain random password. Use them to access the WP admin page at www.yourwebsite/wp-admin. Ta-daaa! Now the future of your website depends only on your imagination and purposes. Browse the web to find a good theme for your newly created website, and start your own web project! Good luck, and stay tuned!